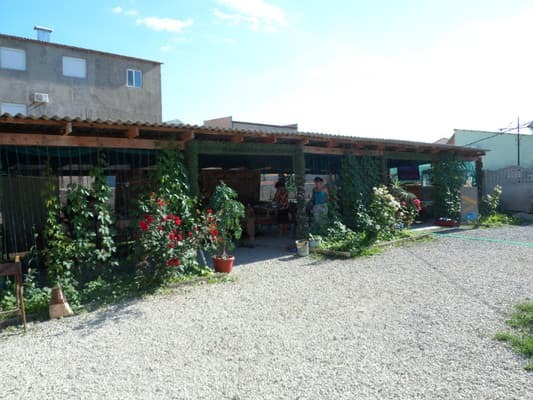 Guest house "Alie" is located in the resort village of Sudak near the water park, 300 meters from the sea. There are 19 bright double and triple rooms. Each room has comfortable furniture, a wardrobe, air conditioning, a shower and a bathroom. Free Wi-Fi is available in the Alieh's guest house. The guest house has a fully equipped kitchen for self-catering. By prior arrangement, you can book a transfer. In walking distance from the hotel there are cafes, bars and shops. For guests by car, there is free parking in the courtyard of the hotel. Distance to the railway station in Simferopol is 105 km away. PRICES MAY CHANGE, IT IS REQUIRED TO RECEIVE INFORMATION FROM THE OPERATOR. Description of the room: Double room with a large double bed or twin beds. 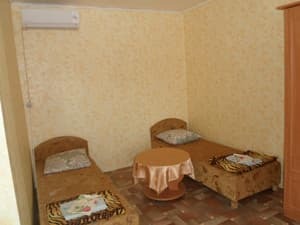 Description of the room: Triple room is ideal for families. Услвия - как и везде в Крыму в подобных "мини-отелях". Хозяева очень хорошие, по-настоящему заботятся о том, чтобы гостям было комфортно. 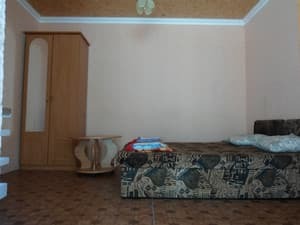 Для своей цены отличное место. В душевой ни одного крючка и практически нет полочек. Некуда повесить полотенца и поставить душевые принадлежности. 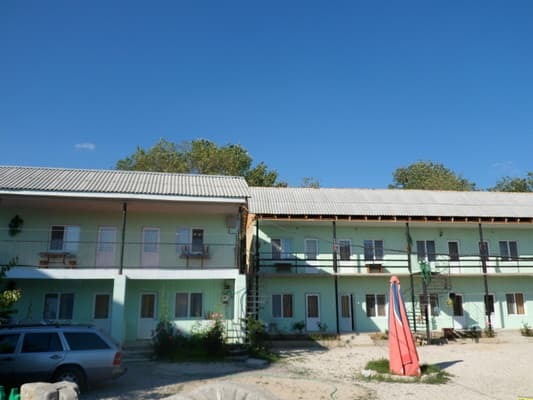 Guest house "Alie" in Sudak is located near the water park. The beach is 300 meters from the guest house, which is 5-7 minutes walk. To go by train or fly to Simferopol by plane, then you need to take a taxi or minibus to Sudak (107 km). Marshrutki (and buses) leave from the bus station near the railway station (landmark restaurant "MacDonalds", right next to the entrance there are cash desks of Autostation), the journey time 1,40 - 2,20 hours. By prior arrangement, you can order a transfer (bus for 13 seats).